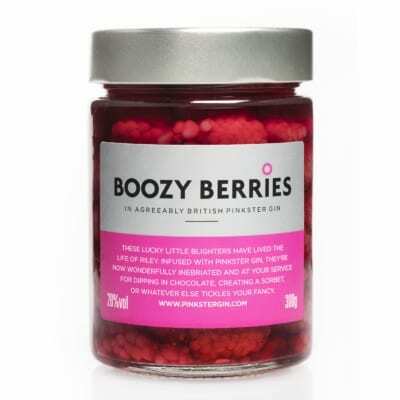 Pinkster Gin. 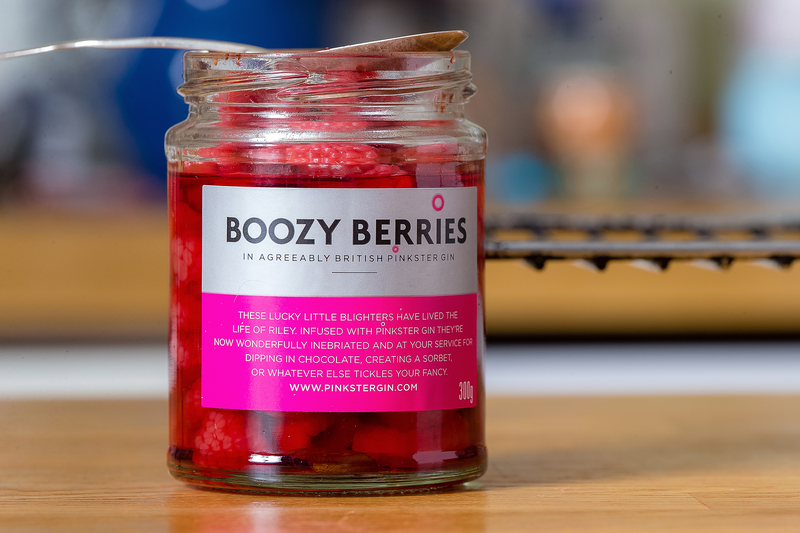 Boozy Berries - Delicious raspberries soaked in gin. Made with recycled raspberries left over from making Pinkster, these inebriated little blighters are guaranteed to pack a punch. 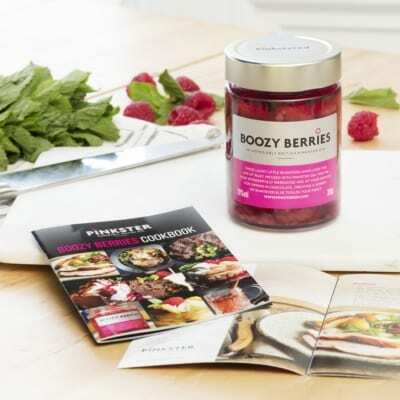 Comes with free Boozy Berries cookbook. 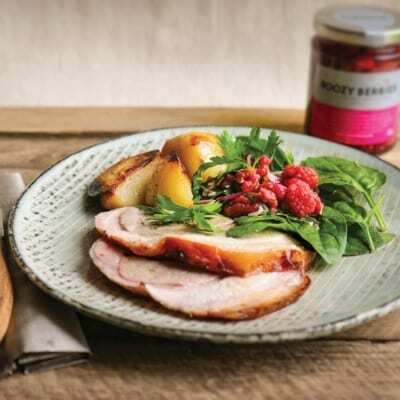 Pretty darn scrummy, we say. On the basis it’s a crying shame to let anything gin-soaked go to waste, we hit upon the idea of Boozy Berries. These delicious raspberries soaked in gin are designed to add a bit more pinkness in your life. 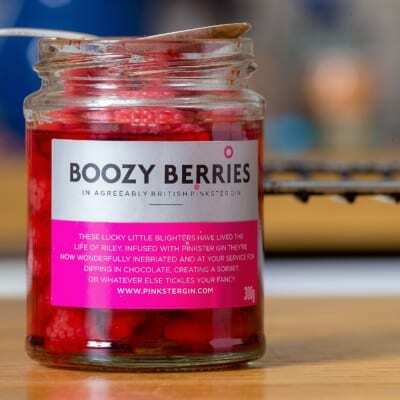 They taste positively lashed with gin (28% vol) but in a very good way. Pop them into a pudding and wow. The raspberries, grown locally to Pinkster’s HQ outside Cambridge, at your service for dipping in chocolate, creating a sorbet, mixed in with a pudding, or whatever else tickles your fancy. If ginspired cooking, is your thing then you’ll love our selection of mouthwatering recipes including chocolate brownies, Cambridge Mess, Boozy Berries vinaigrette and venison with raspberry and bitter chocolate sauce. Note: as with all fresh fruit, you may occasionally find an uninvited guest in the jar.